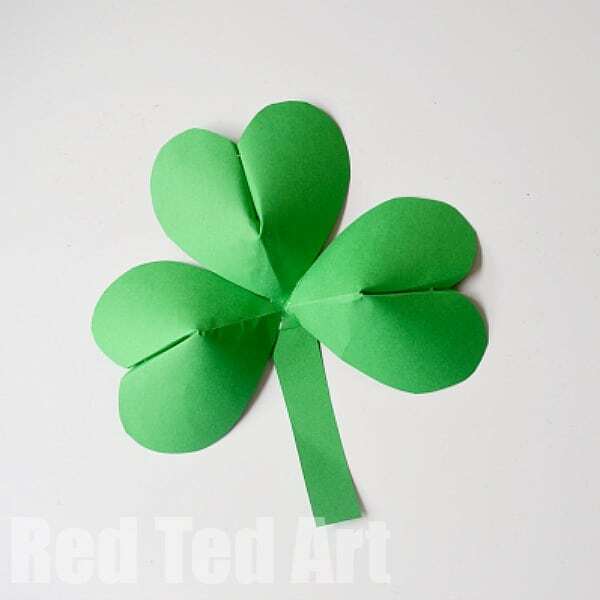 Aaaaah, I confess, we don?t have many St Patrick?s Day crafts here on Red Ted Art, it isn?t a ?big day? here in the Uk, but we do have some Rainbow Crafts dotted around and I do like to pick out some crafts for those of you that DO like to celebrate and decorate for St Patrick?s Day. I try at least?. A few weeks ago, we made some super simple 3D Paper Hearts and a few of my readers suggested that they would look great as Paper Shamrocks for St Patrick?s Day.. so I thought I would give it a go for you!! What do you think? 1) Begin by cutting out your paper hearts ? make a ?wider heart? than usual ? as you will staple it in the middle and narrow it back down again. (Watch the video). 2) Cut a slit down the middle of the heart ? approximately half way down. Fold back the flaps and staple in place. FINISHED ? 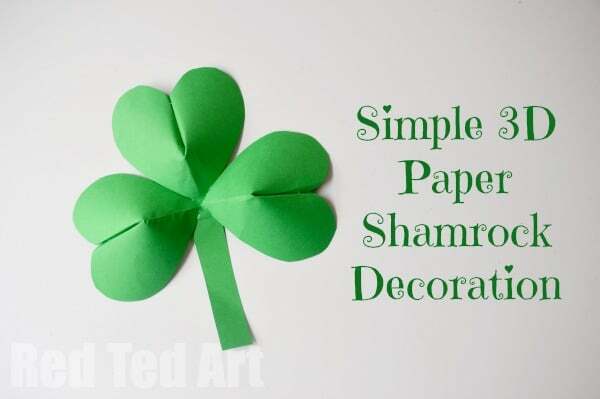 and that is how easy and quick it is to make some 3D Paper Shamrock decorations. Lovely! Enjoy! And wishing you all lots of good luck this St Patrick?s Day!